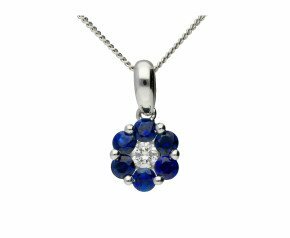 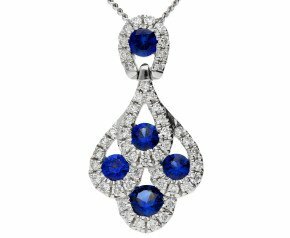 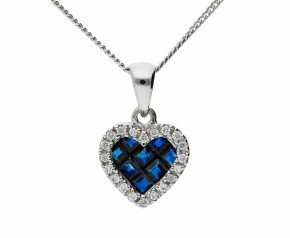 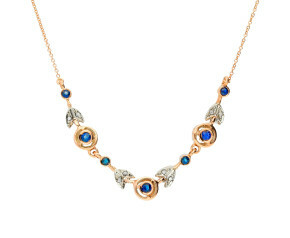 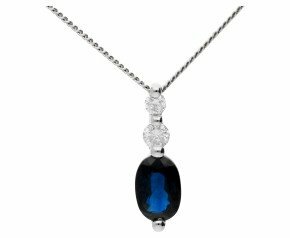 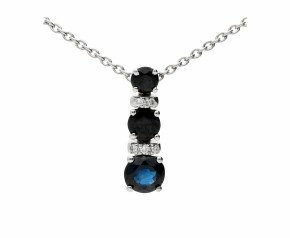 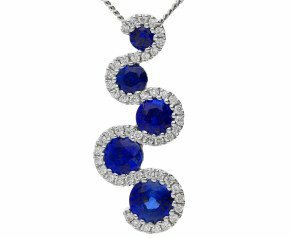 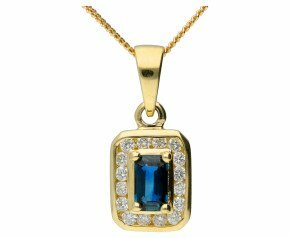 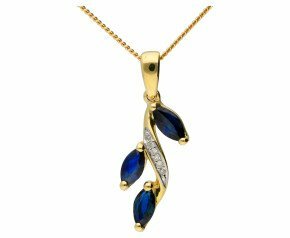 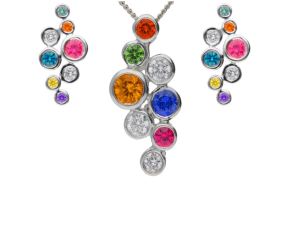 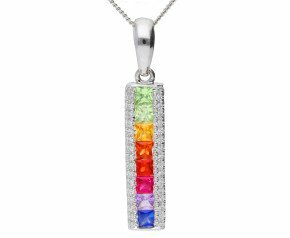 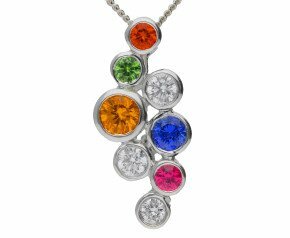 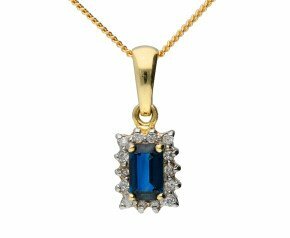 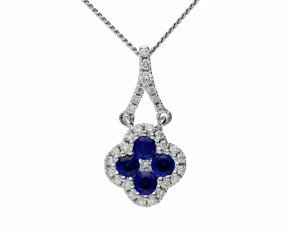 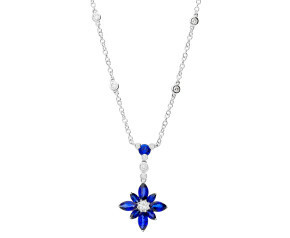 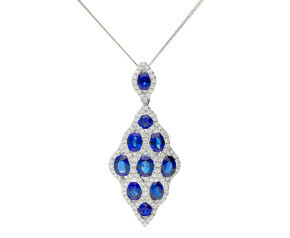 A delicious selection of Sapphire and Diamond Necklaces. 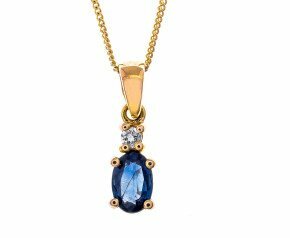 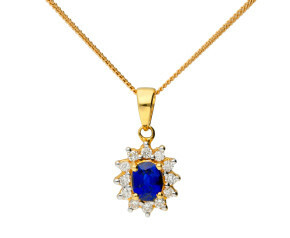 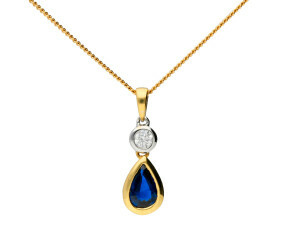 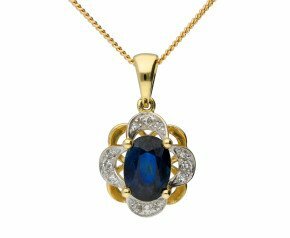 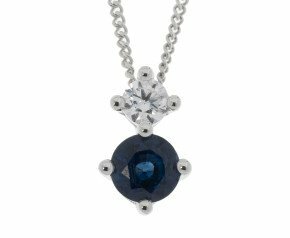 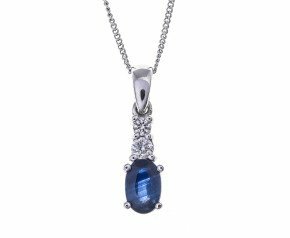 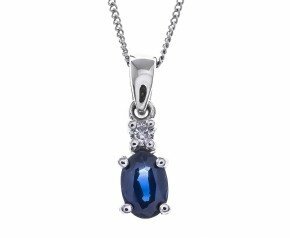 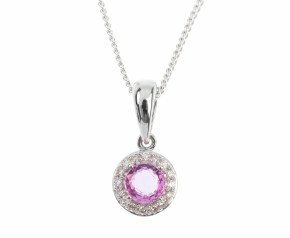 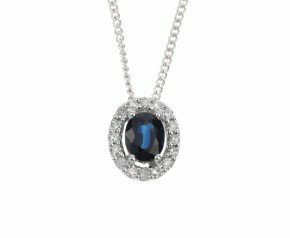 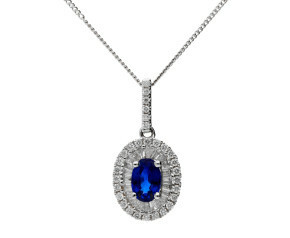 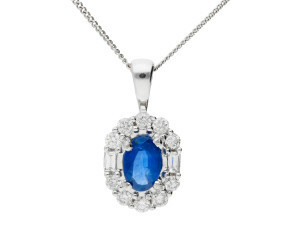 Choose from the classic sapphire and diamond halo pendant to the simple sapphire and diamond drop pendant. 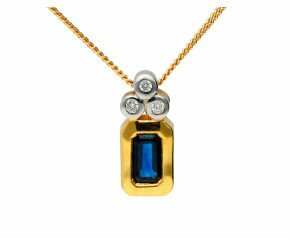 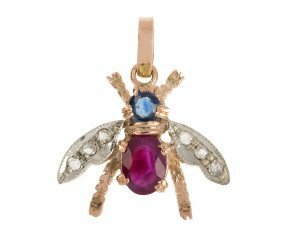 Crafted from 9ct and 18ct gold in a variety of tones such a rose, yellow and white gold.